Student Loan Deferment and Forbearance | Debt Management Credit Counseling Corp.
A deferment is a postponement of payment on a loan, during which interest does not accrue if the loan is subsidized. Enrolled at least half time in an eligible postsecondary school or studying full time in a graduate fellowship program or an approved disability rehabilitation program. Unemployed or meet our rules for economic hardship (limited to 3 years). 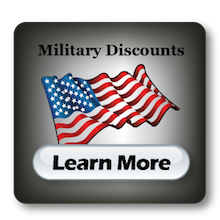 You may also be eligible for a deferment based on qualifying active duty service in the U.S. Armed Forces or National Guard. Refer to the MPN for your loan or contact the Direct Loan Servicing Center for more information about specific qualifications for deferment based on military service. In most cases, you need to submit a deferment request to your loan servicer along with documentation of your eligibility for the deferment. If you’ve gone back to school and your loan servicer receives enrollment information that shows you’re enrolled at least half time, it will automatically put your loans into deferment and notify you. You have the option of cancelling the deferment and continuing to make payments on your loan. If you can’t make your scheduled loan payments, but don’t qualify for a deferment, you may be able to get a forbearance. A forbearance allows you to temporarily stop making payments on your loan, temporarily make smaller payments, or extend the time for making payments. Some common reasons for getting a forbearance are illness, financial hardship or serving in a medical or dental internship or residency. See your copy of the Borrower’s Rights and Responsibilities Statement for more examples. You can get more information by contacting your loan servicer. Under certain circumstances, you can automatically get a forbearance, for instance, while you’re processing a deferment, forbearance, cancellation, change in repayment plan or consolidation, or if you’re involved in a military mobilization or a local or national emergency.